A great smile puts others at ease and has the potential to change the mood in an entire room. If you feel less than confident about sharing your smile with the world, Young Kim, DDS, of Mint Dental in Edgewater, New Jersey, provides custom veneers. As an expert cosmetic dentist with more than 20 years of experience, Dr. Kim recommends veneers to correct a variety of common dental issues, like unevenly spaced or chipped teeth. Veneers are a great way to upgrade your smile so you want to share it with everyone. Learn more about veneers by calling or scheduling a consultation online. Dental veneers are custom-made porcelain shells that adhere to the front side of your teeth. Veneers create a brighter, more uniform, natural-looking smile. Dr. Kim custom fits every single veneer to your individual teeth as a cosmetic solution to a variety of common dental problems and imperfections. Even though they’re wafer-thin, porcelain veneers help strengthen your teeth, are stain-resistant, and permanently improve your smile. Since Dr. Kim custom-designs each veneer to fit your individual teeth, she creates a whiter, more evenly shaped smile based on your dental concerns. Veneers are easy to care for, too, since you brush and floss as you normally would to keep your mouth healthy. The process for getting veneers is relatively simple. Once Dr. Kim takes impressions of your teeth and has the porcelain veneers made, you return for a second appointment so she can apply the veneers one at a time. Dr. Kim thoroughly cleans your teeth before applying the veneers to ensure that your teeth are free from bacteria that could cause decay. She uses a special tool to create a rougher texture on the surface of each tooth to make it easier for the veneer to adhere. Dr. Kim applies dental cement to your tooth to bind the veneer. An ultraviolet light hardens the cement so each veneer becomes securely and permanently affixed to each tooth. When you leave Dr. Kim’s office, you can immediately share your new, improved smile with the world. Recovery is minimal since you don’t typically need anesthesia for the painless application process. 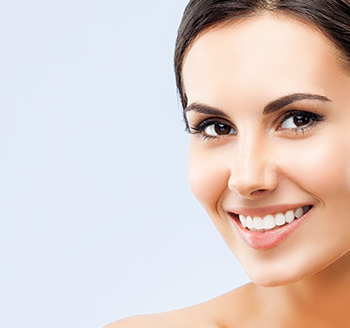 If you take good care of your teeth, porcelain veneers can last 10-15 years. It’s a good idea to avoid chewing ice or biting your nails to prevent your new veneers from chipping. And never open packages with your teeth! If you want a smile you can be proud of, without extensive dental work, schedule a consultation to find out if veneers are a good fit for you. Call the office or use the online booking system today.